This article builds a new theoretical framework to understand the role of threats in terrorism. 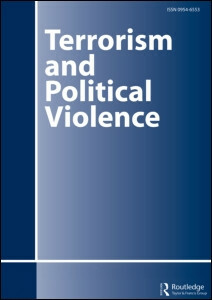 Interviews of IRA members give rise to a speech/kinetic action model of terrorism, in which threats and violence jointly determine the physical consequences and political messages conveyed by terrorist attacks. In fact, threats are integral to the attack, and some attacks can be said to consist of threats alone. IRA interviews reveal four varieties of threats: warnings, hoaxes, pledges, and bluffs. These categories are distinguished by the timing of the threatened violence (immediate or prospective) and the intended truthfulness of the threat. The IRA interviews establish the function of each type of threat in influencing the beliefs or behavior of state and society. Threats may disrupt the economy, increase or decrease bloodshed, control social behavior, secure tactical or strategic advantage, claim attacks, aggrandize the perpetrator, and facilitate bargaining. A single threat may serve several of these functions, signaling different messages to different audiences. In fact, this is one of the most important applications of threats. When violence alone would produce suboptimal outcomes, threats alter the pattern of damage in a way that optimizes militants’ messaging for all audiences.